Buying sustainable free range & grass fed meat can be tough to do on a budget – but it’s something I refuse to compromise on because of how much I value my family’s health. I started looking into getting bulk meat to try to save money, and posted an “In Search Of” on my local swap page – I got lots of information! 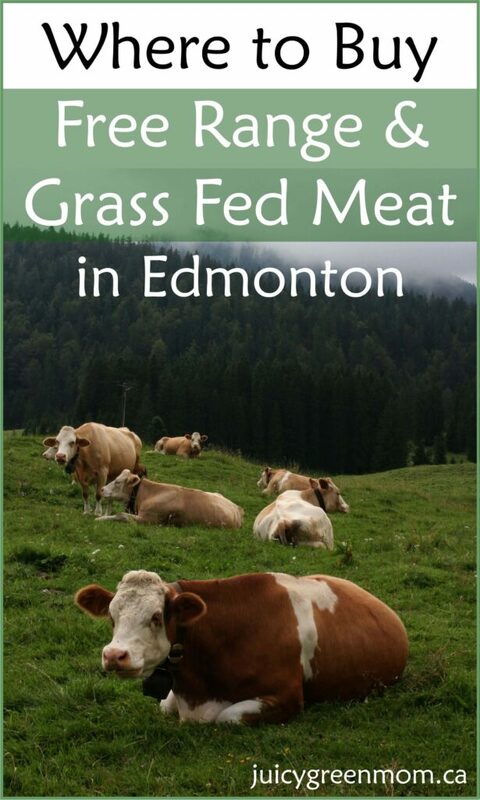 Here are some of the local places to get free range & grass fed meat in Edmonton that is healthy and wholesome for your family. I first want to say that I firmly believe organic meat is the gold standard. Because of the stringent certification process, you know that what the animals have eaten are organic as well. However. I also know that this certification process is a long and arduous one, and can be very costly for small farms. That is why I am including farms on this list that, although they may not be certified organic, are doing what I think are the important things – humanely raised, free range, grass fed, pasture-raised, no pesticides, hormones, or antibiotics. Organic Chicken & Turkey: You can get all cuts as well as whole chickens and turkeys. Organic Eggs: Prices vary according to size of eggs. Organic Lamb: You can get chops, racks, leg & shoulder roasts, stew, ground, shank, and ribs, as well as soup bones. Organic Pork: All cuts including ground, hocks and soup bones are available. Organic Bison: Roasts, steaks, finger ribs, kabobs, and ground are available. Organic Sausages, Bacon and Deli Meat: The bacon from Sunworks is to DIE for. It is not always in stock so when I see it I buy about 10 packages at a time and put it in the freezer. It is without a doubt the BEST bacon I have ever tasted. And the deli meat! So delicious! The best part – no nitrates or nitrites, sugar, gluten, MSG, or other nasty chemicals, and it tastes better than any other bacon or deli meat out there. My daughter can eat entire packages of the stuff and not leave any for me. They have a huge variety of sausages that are also amazing. Oh and the chicken hot dogs? Another favourite for the whole family. Did I mention how awesome all of this is?? Family farm near Smoky Lake, AB. 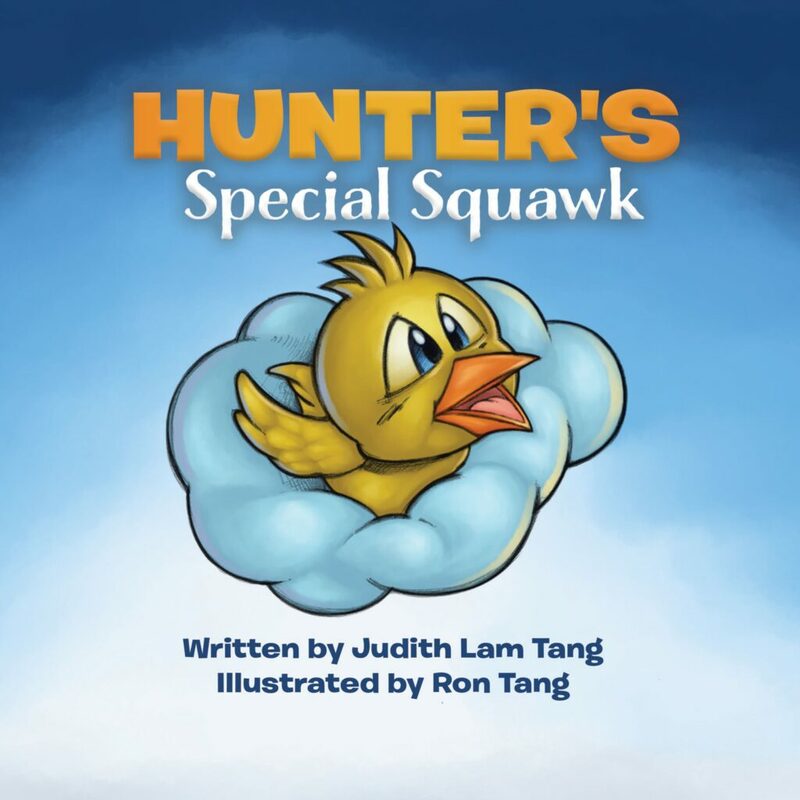 I love the detailed descriptions of how they raise their animals – humanely and sustainably. You can order directly from their website, which is beautifully simple and easy to navigate. *update: They have now transitioned to certified organic! Free-Range Pork: They offer full-hog (approximately 130-150lb for $700 – $5/lb) and half-hog (approximately 65-75lb for $360 – $5.50/lb) bulk buys, and do cuts of bacon, pork chops, shoulder roasts, leg roasts, ribs, ground and hocks. They also have a variety of sausages. Free-Range Chicken: They offer bulk pricing on whole chickens when you buy 10 or more. ($1.00 each chicken when you buy 10, $1.50 each chicken when you buy 20, $2,00 off each chicken when you buy 40). Buying 1 chicken is approximately $20 (4 – 5.5lb). Free-Range Turkey: They offer ground turkey on the website, at $10.00/1 lb package. Free-Range Eggs: Their eggs are not graded but they are carefully washed and inspected. A dozen eggs is $5.50. They have free pick-up locations in Edmonton and Calgary. They do not use any nitrates, nitrites, MSG, gluten or preservatives in their processed meats. Grass Fed Beef: They offer all cuts of beef as well as sausages, patties, pepperoni, salami, pepperoni sticks and jerky. You can also buy in bulk – beef half (approximately 190lb/86kg) is $1575, beef mixed quarter (approximately 95lb/43kg) is $825, and beef mixed eighth (approximately 45lb/20kg) is $440. They have options for substitutions in bulk buying for ground beef so you can mix in some of the processed meat products as well. The online shop has really detailed information on how many of what types of cuts you can expect for each bulk order. Grass Fed Lamb: Lamb cutlets, loin chops, leg and rack are in the online store, as well as bulk packages. Lamb half (approx 22lb/10kg) is $275 and a small package (approx 4 kg) is $75. Heritage Pasture Raised Pork: Product offerings include chops, cutlets, ribs, roasts, ground, bacon & ham, and sausages. Their bulk packages include a pork half ($450), pork quarter ($250), a favourites package ($79.50), and bulk sausages ($116). Free Range Chicken (soy-free): They offer whole chickens and chicken parts as well as chicken sausages. Bulk chicken packages include 5 or 10 whole chickens ($142 and $265 respectively), and a mixed package (20% off individual prices) for $104.99. They also have free range turkeys available (turkeys are not soy-free). Pine Haven Colony (Hutterite Colony in Wetaskiwin): No antibiotics or growth hormones are used with their animals. They have Heritage Angus Beef and Pine Haven Grass-Fed Beef, pork, free-range poultry including chicken, duck, & turkey, and artisan meat & sausages. They do use sodium nitrite in their sausages, and have an explanation of why here. They have discounts on freezer packs and bulk ordering. Other suppliers include St. Albert Ranch, Camrose Colony, Castor Colony, and Vermillion Packers. Blue Copper Ranch is a small family farm that offers hormone free, grass finished, grass fed beef. Their goal is to raise livestock in a natural, stress free environment. They feed their cows what they were meant to eat, a diet based on grass and forage. The result is an excellent tasting meat with a extra health benefits compared to the store bought feed lot cattle fattened up on grain. They sell beef in a 50lb freezer pack for $400. The freezer pack includes approximately 12-15 steaks, 3-4 roasts, 9-12 packages of ground beef weighing 1.5 each, 20 seasoned hamburger patties and a few packs of stew meat. They begin butchering in July, so follow their Facebook page for updates, or send Mike an email at bluecopperranch@gmail.com (he was very open about answering my questions – something I definitely respect). Delivery is free in the Edmonton area. In the future, they will also be offering grass fed lamb and pasture pork. They do not use any pesticides when the cows are on their farm. They do not raise calves from birth, but rather purchase yearling calves and keep them until they are ready for butchering. Cows are not usually fed grain until they’re getting ready for butchering (grain is more likely to be sprayed with pesticides, and it is used to “fatten” cows up for butchering), but Blue Copper Ranch only feeds them grass til the very end. I had the opportunity to visit Blue Copper Ranch – here’s my review. Jasper Springs Farm is a former small dairy, now a small farm, making the transition to local direct marketing. Their land is certified organic, however their animals are not yet, as it is a gradual process. Their goal is to one day be a supplier of healthy local meat, eggs, grains and produce to the surrounding area. Currently they are selling eggs and depending on the season, may have pork and chicken available. This family farm is dedicated to naturally raised pasture animals, free of hormones, antibiotics, soy and corn. They offer pork and beef in whole or half; never grain fed nouveau beef ($7/lb hanging weight) is butchered in October and November, heritage breed Tamworth bush pork ($3/lb hanging weight) is butchered in late fall, and pastured pork ($3/lb hanging weight) is butchered in early fall. Small family farm specializing in pork products located near Round Hill, where they raise free range Berkshire pigs, with a butcher shop located on the farm. This association of small family farms offers a CSA (monthly package with a variety of meats), as well as individual cuts and mixed bulk packages. This farm offers weekly deliveries in Edmonton for chickens, turkeys, and pork raised outside with handmade feed. They also have an organic vegetable operation that includes potatoes, cucumbers, tomatoes, beets, squash, onions, garlic, peas, beans, kale, rhubarb, and raspberries. They offer a CSA as well. I’m currently writing a post about CSAs in Edmonton, so stay tuned! I don’t eat meat but I do eat eggs, but never the regular factory farm ones. I was spoiled when living in Athabasca; my family got our eggs for $1.25 a dozen from Annie, an old lady with a hobby farm. Now here in the city I find the cost of free range eggs in stores prohibitive, but my husband likes to use a lot of eggs in his cooking, so we’re currently compromising with “Comfy Coop” eggs at $3.29. They’re not exactly free range, but I don’t think “free range” always means a good life for the chickens, although with the family farms you describe here it’s probably pretty good. I also think it’s important to think about what the chickens are eating, in addition to being free range. Do you know which restaurants in Edmonton severe humane meets? I believe Blue Plate Diner and Under the High Wheel are good bets. I also think I read somewhere that Cactus Club Cafe also strives to get free range meat. You obviously put in a little time here to produce your list of humane producers of animals for consumption. They ‘told’ you the right things which obviously satisfied you. Did you happen to ask them how their animals are transported, how many hours/days they are in transit without food or water, and who kills those animals (how many per minute die, how the slaughterhouses are inspected for humane treatment etc.)? Because while life might have been fairly decent, the other half of the equation is how they are treated once they leave that farm and that can be absolutely horrific. It is not just ‘happy life on a farm’ and next stop, a ‘saran wrapped tidy package in a supermarket’. I think it’s commendable that you at least went to the trouble of trying to source ‘humane’ meat, but seriously, there is no such thing, only that some is a ‘little more humane than others’. Thanks for your thoughtful comment. I am guessing from your comment that you are a vegetarian? I commend you for that! I agree with you that the world would be a better place if we all stopped eating meat. However I know that for some people that is just not a choice they are willing to make. While I cannot speak for all of the producers on this list, I do know more about the practices of some of the farms over others. For example, Sunworks farm now has their own slaughterhouse so that they can ensure that the animals are treated as humanely as possible. I also do think that taking the time to get to know the farmers allows us to gain a greater understanding of the process. Now that I am doing that, I never buy the “saran wrapped tidy package in a supermarket” meat. I only get meat direct from the farmers, and I would encourage others to do the same. Thank you so much for taking the time to make this list! It has been very helpful as I look to fill my freezer with some healthy local meat. We are so lucky to have access to these amazing choices ! So glad it was helpful for you! !